Matt Cullen played his first NHL game October 28, 1997. 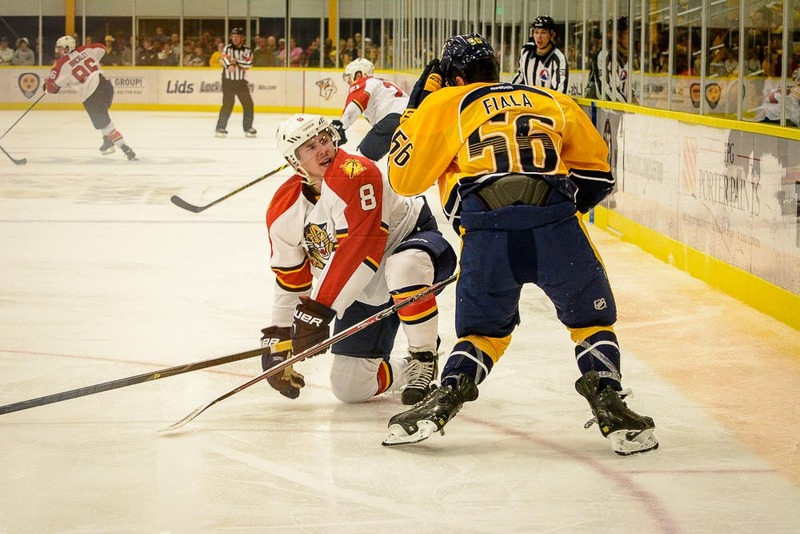 Kevin Fiala was all of 15 months old at the time. Friday marked the first on-ice sessions of training camp for the Nashville Predators. With the large number of players here for the start of camp, the team has been split into three different groupings for the first couple of days of practices. For some, it was their first experience in an NHL camp while others have been at it for close to 20 years. The first group to hit the ice was the blue group. Among the forwards skating in that collective were Cullen and Fiala, and the coaching staff had them skating on a line together for nearly the entirety of that first practice session. After they came off of the ice, Cullen was asked how it felt skating on a line with someone who was born in 1996. One should not look too deeply into line combinations and defensive pairings on the first day of practice, but it’s likely that new Predators head coach Peter Laviolette went with someone he knew and felt comfortable with to mentor Fiala, the team’s first round draft pick from June’s Entry Draft, as he was put through the paces of his first training camp practice. Laviolette coached Cullen with the Carolina Hurricanes, where the pair won the Stanley Cup in 2006. Cullen’s first camp in Anaheim was an eye-opener for him, especially when he was on the ice with a future Hall of Famer. But do those big eyes ever shrink back down to normal size when you are playing alongside a player of Selanne’s caliber? “Eventually you kind of settle in, but still you find yourself at times thinking, ‘Holy cow, I’m playing on a line with Teemu Selanne right now. This is pretty cool,’” Cullen said. It’s rare for a player to make an NHL roster in his first training camp, but once the awe factor dies down, the rookies are trying to do exactly the same thing as the veterans. NHL teams can carry a maximum of 23 players on their active rosters. Over the course of the couple of weeks, it will be interesting to watch which young guys make their case for those jobs.